The Big Picture by JT Korkow: Feds want it all! Recently, I was indirectly involved with a real estate transaction on a ranch sale that went south due to the USFS's last minute "two-step" to reduce the grazing lease. After the buyer and seller had agreed on a sale price and took all the time and energy to negotiate the other details of putting the deal together, the buyer learned a few days prior to closing that the U.S. Forest Service grazing lease they were applying to receive through the purchase would be significantly cut back. 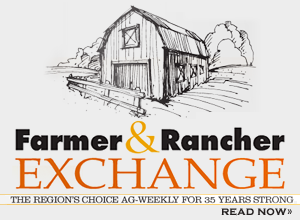 Without the lease continuing at the same rate, the net effect lowered the carrying capacity of the ranch creating a lack in feasibility at the agreed purchase price and nixed the deal. The tragedy of this was that the seller had met with the forest service prior to him selling to ensure his lease was in good standing and would be transferred to the new owner. The USFS assured this could and would be done, only that the buyer would have to make new application for the lease, even though the buyer was purchasing the commensurate property attached to the lease. There was no mention the stocking rate would be reduced. Unfortunately, this appears to be the new policy from the USFS on a nationwide basis, as this same scenario occurred just a few years ago on previous ranch sale I was directly involved with located in another USFS district in another state. And that lease was cited by the USFS employees as being a number one lease in regard to having least amount of impact by livestock. So why the reduction? And from a real estate agent's perspective, how do you accurately represent an unknown? How do you price a working ranch accordingly if 20-30 percent of your summer grazing suddenly disappears with the stroke of a pen and no forewarning? If scientific data or range conditions warranted such a reduction, there shouldn't and wouldn't be any surprise, and such an action could be predicted. But in neither case was it so. I read just recently that the USFS has decided to back off from its assertion of federal supremacy over all water rights within the forest. What? Even after previous attempts made by the USFS for the same were over-ruled through litigation, (see Hage v. U.S. Forest Service) the service continues to pursue and harass private users with filed water claims through its directives and regulations claiming the government "reserved the water" when the service was enacted. However, the courts have maintained the Western states' jurisdiction over all water within their bounds, which adopts the "first in time, first in line" water claim by users. For the record, the original mission of the USFS as described under the Sundry Act or later referred to as the "Organic Act" of 1897, was to protect, care, and manage the forest reserves for posterity use which utilized livestock grazing as a management tool. During the past 20- 40 years or more, it appears there has been more protection but little care and management. Perhaps if there was concern for the watershed, we should free up more logging in the forests, as I was told a mature pine tree can take up as much as 80 gallons of water per day. I wouldn't know, as I am not a forester. However, we noted in the areas burned by the Ash Creek fire in Custer Forest, that springs are running at more volume than before, which makes sense, as a grain crop full of weeds does not yield well due to competition for the moisture. Anyway, this proposed "takings" by the USFS stirs me to begin a series of articles to examine various government agencies and their current practices as opposed to their original mission. We may both get a "bigger picture" of what is going on…or confirm what we already suspect!